What are the Symptoms of Bed Bug Bites? Do you wake up in the morning with an itch? It could be that you are the victim of bed bugs. Bed bugs are not just an imaginary critter that is used to scare children — they are very real, small pests that can find their way in your bed and leave you with red and itchy skin. These small insects are passed on by humans to different beds. They feed off human or animal blood and are predominantly active during the night. What are the symptoms of a bed bug infestation? First of all, these symptoms may not show up immediately. It can take a couple of days until the symptoms of the bite session appear. Because bed bugs inject saliva that contains an anesthetic when they bite, you probably won’t even feel them as they are biting you. Once the signs appear, you may feel itchy accompanied by a burning sensation on the affected skin. Other indications that you may have bed bugs are blood spots on your sheets. The bites can have a linear or a zig-zag pattern on your skin. The bites can be flat or raised. In time, they can become inflamed and even leave a blister. The reactions towards a bed bug bite depend on the sensitivity that one has towards the substances injected by them into the skin. There are people who get bitten but develop no reactions while other can develop a skin inflammation. The bed bugs usually bite exposed areas of the body such as the face, neck, arms, and legs. Let’s examine the most common symptoms. Arranged in a line or zigzag pattern. Caused by the recently fed bugs being rolled onto or squashed during the night. 3. Bites Only on Exposed Skin. The bites will typically only appear on the skin that was exposed throughout the night. Often arms, legs, hands and feet. Bed bugs will shed their skin a total of 5 times before they reach maturity. Egg cases are evidence of the population growing. They are very tiny and a white/clear color. Feces will be left on or around the bed. It looks similar to a black marker spot on the sheets. If you have pets that are the victims of bed bugs, you may notice small bites that resemble a mosquito or flea bite. Other than the bites, you may notice bug’s feces and cast skins around the sleeping area of the animal. The animal may be irritated at night — this is also a signal of a bed bug infestation. Bed bugs bite solely for the purpose of feeding. They depend on blood for growing and reproducing. Developing bed bugs will bite more often as well as female bed bugs. A single bed bug will usually bite more often than once. It injects its mouth into the skin until it finds a blood vessel. If the host moves even slightly, the bug will jump off and reattach to another part of the skin. That is why it is hard to determine how many bugs bite a person by the number of bites — a single bug can make several punctures in a single feeding. 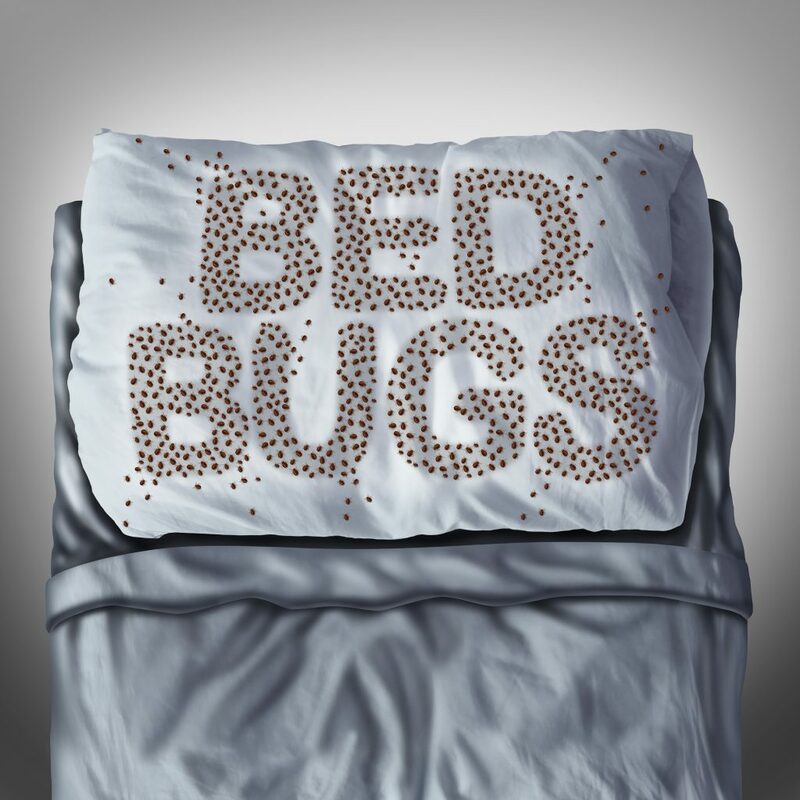 The good news is that bed bugs are not carriers of contagious diseases. It is simply uncomfortable and sometimes unsightly to be bitten by them. There are few people that can develop a weaker or stronger allergic reaction towards the anticoagulants injected by them. Perhaps, the greatest risk factor of bed bug bites is a secondary infection that can occur from scratching and failing to disinfect the skin around the bite. This can cause pain, swelling, or bleeding. The most susceptible individuals to skin infections are children, elderly people, or those with weaker immune systems.